As if filling out college applications and waiting on decisions were not stressful enough, the federal government has one more computer form for you to complete if you would like to be eligible for any federal aid or federal loans. 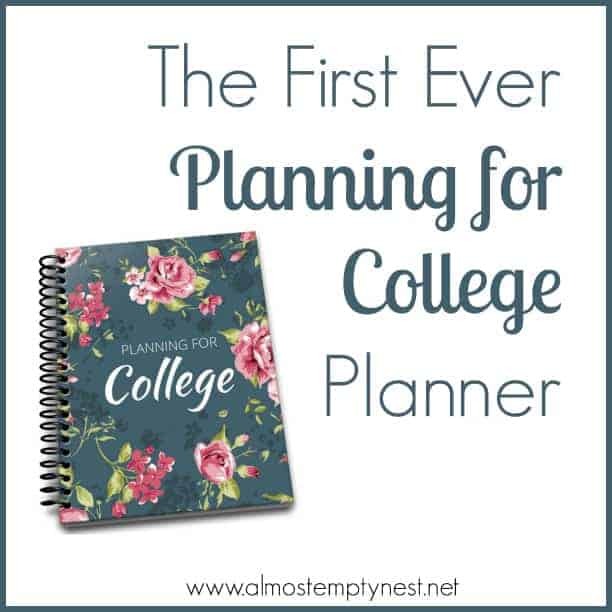 And, many colleges require that you complete a FAFSA for any of their aid as well. 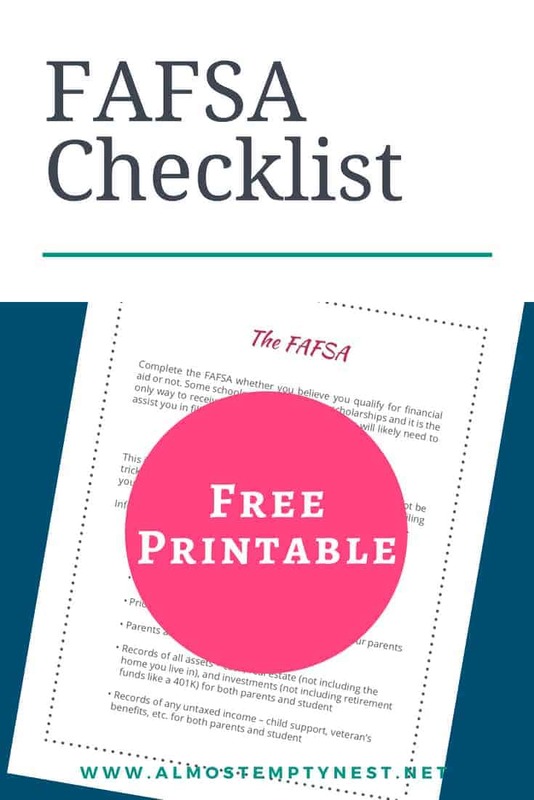 Read How to Complete Your FAFSA for a guide to collecting the information you will need before you begin. You will also find a List of Terms and their definitions and other helpful hints. 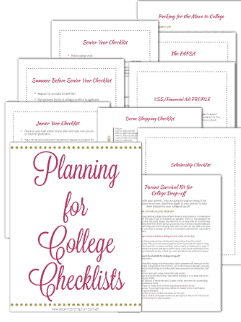 The FAFSA checklist is part of the Planning for College Checklists. 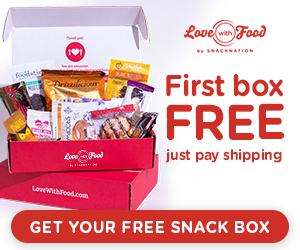 To receive your FREE DOWNLOAD, sign up below. 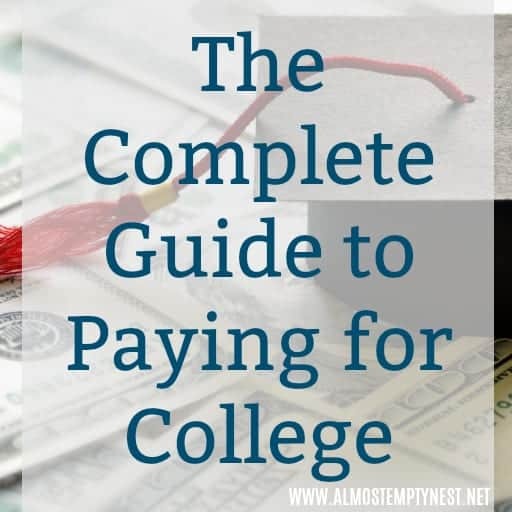 The general rule is to complete the FAFSA (Free Application for Federal Student Aid) whether you believe you will qualify for financial aid or not. The ONLY website you will need to complete the FAFSA is: https://fafsa.ed.gov. Do NOT be tricked by other websites that may charge you for assisting with filing your FAFSA. Filing the FAFSA is free through the .gov website. The form becomes available every year on October 1. Prior year's W-2s and income records for both student and parents. To file a 2018-2019 form, you will need your records from 2016. Records of ALL assets – cash, real estate, and investments. You do NOT have to include the home you live in or any retirement funds, such as IRAs and 401Ks. When you are ready to begin the FAFSA form, you will see terms (and their acronyms) that you may not be familiar with. IRS DRT (Data Retrieval Tool): The IRS DRT will retrieve tax data and automatically fill in that information on the FAFSA form. SAR (Student Aid Report) :The SAR is a paper or electronic document that gives you some basic information about your eligibility for federal student aid and lists your answers to the questions on your FAFSA. EFC (Expected Family Contribution): The EFC is how much money your family is expected to contribute to your education. The FAFSA will compute this amount based on your answers. Schools use the EFC to determine your federal student aid eligibility and financial aid award. It is not necessarily the amount you will end up paying, but is used by schools to determine your aid. Renewal FAFSA: The form you will fill out for subsequent school years after your initial filing. It will carry forward information from your previous FAFSA forms. For more terms and their definitions, see the Federal Student Aid Glossary. The Federal Deadline for the FAFSA is June 30. However, states and institutions that use the FAFSA to calculate aid may have different deadlines. See 2018-2019 FAFSA Deadlines more information. Filing out a FAFSA is not the most fun experience in the world. 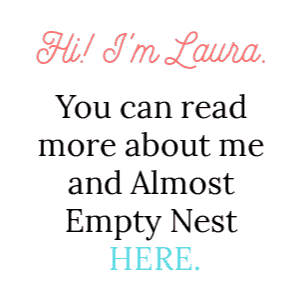 I know because I have filled out the darn thing. Knowing How to Complete Your FAFSA and preparing ahead of time will save frustration later while you are in the midst of trying to file it. To receive a copy of the printable with a list of information to collect before you begin, subscribe below. 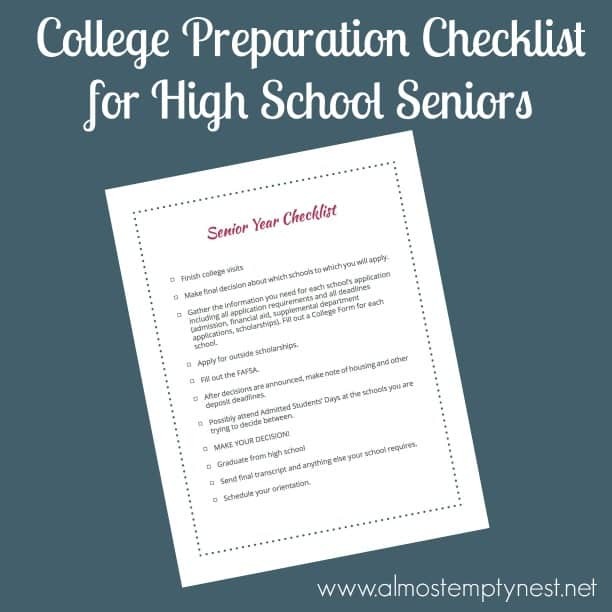 You will also receive the College Preparation Checklist for High School Juniors and the College Preparation Checklist for High School Seniors.